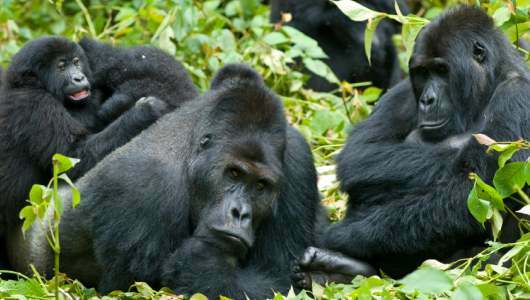 Gorillas were seen for the first time using simple tools to perform tasks in the wild in 2005. “We’ve been observing gorillas for 10 years here, and we have two cases of them using detached objects as tools.” said Thomas Breuer, from the Wildlife Conservation Society (WCS), who headed the study team in Nouabalé-Ndoki National Park in the Republic of Congo. “In the first case, we had a female crossing a pool; and this female has crossed this pool by using a detached stick and testing the water depth, and trying to use it as a walking stick.” said Breuer. This discovery made the gorilla the last of the great apes to be documented using tools in the wild.